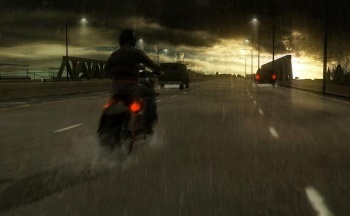 Quantic Dreams Co-CEO and Heavy Rain Executive Producer Guillaume de Fondaumiere has weighed in on the controversial airport scene in Modern Warfare 2. In de Fondaumiere's eyes, videogame creators should have the same freedom as other artists to deal with difficult subjects and to depict controversial topics. "My take on it is very simple. I don't see any reason why video games should be treated differently than movies, for instance," he said. "I think that we should leave game creators free of expressing their vision as they see fit. I think the guys at Infinity Ward had something very precise in mind when they did this scene." "The real danger for me is, when you put out such a scene out of context. I can take any movie and take a sequence and make up a story and it will look like something that's amoral or that crosses the line. This is most of the time what happens in video games [in the media]." It's likely that Heavy Rain, which also handles mature themes, will come under fire as well when it is released, although not to the same degree as Modern Warfare 2.